Innotech and NRP Electrical Services recently donated an IWS01 innSIGHT Supervisor Webserver to Polytechnic West, our Western Australian training partner. Polytechnic West is one of the largest Registered Training Organisation in Western Australia. Their Carlisle Refrigeration and Air Conditioning Unit is also Western Australia's premier centre for refrigeration, air conditioning and associated studies. The purpose built facility is one of the best of its kind in the southern hemisphere. They requested the IWS01 innSIGHT Supervisor Webserver to further enhance their controls system training to include a practical Energy Management solution. 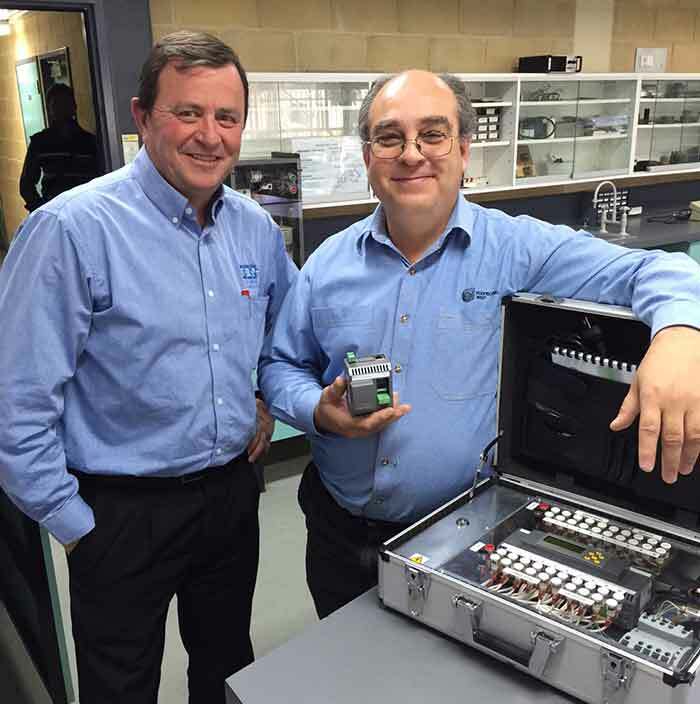 Peter Johnson (NRP Electrical Services) and Jean Michel L’Aiguille (Lecturer - Engineering) with Innotech HVAC and BMS controls training equipment. Innotech congratulate Polytechnic West on the successful implementation of their BMS Controls Course co-ordinated with Innotech Controls Systems. We are also pleased with the enthusiasm shown by Polytechnic West and their interest in working with the Innotech product. We look forward to a long and successful relationship with Polytechnic West in the future.